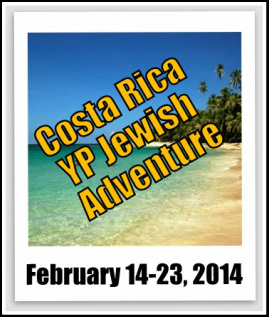 Leave your info to the right and get a discount code good for $250 off our February 2014 Jewish Costa Rica trips! experiences and adventures - with a unique Jewish perspective! 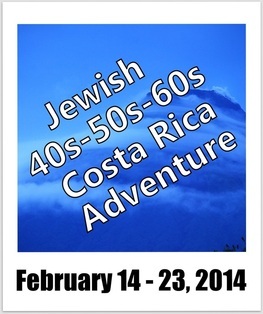 The 8-night Costa Rica Experience for Jewish professionals offers a diverse adventure that combines the volcanic mountains of Costa Rica – with its breathtaking tropical beaches. Check out our December 2013 and February 2014 trips! Check out our trip vid!